For other uses, see Al Ras (disambiguation). Ras Karkar (Arabic: رأس كركر‎) is a Palestinian village in the Ramallah and al-Bireh Governorate, located 11 kilometers (6.8 mi) northwest of Ramallah in the northern West Bank. According to the Palestinian Central Bureau of Statistics (PCBS), the town had a population of 1,663 inhabitants in 2007. Ras Karkar is bordered by Al Janiya to the east, Al-Itihad to the north, Kharbatha Bani Harith to the west, and Kafr Ni'ma to the south. Potsherds from the Hellenistic, Mamluk and early Ottoman era have been found. The village, also known as Ras Ibn Samhan, is topped with a castle on a high, rocky and sharply sloping mountain surrounded by cactus trees. One of the many throne villages (a central village dominated by a semi-feudal family which controlled tens of villages around it) in Palestine, the castle of the Samhan family, erected in 18th or 19th century, is the subject of a preservation effort, and provides proof of the great power and wealth held by its owners at the time. The chief Sheikh of the Simhan family was Isma'il, who was killed by Ibrahim Pasha in the 1834 uprising. After Isma'il, Hasan es-Sa'id and Mohammah ibn Isma'il became the rulers. Edward Robinson passed by in 1838, and described the place as "a castle". It was also noted as a Muslim village, located in the Beni Harith district, west of Jerusalem. Ras Karkar was ruled by Sheikh Ismail Ibn Samhan who was respected and appreciated by his clan for the many contributions and support that he provided. Sheikh Ismail was killed by the Abu Ghosh family which controlled another throne village near Ras Karkar, and the castle was handed over to his nephew Hussein. An Ottoman village list from about 1870 showed that Ras Karkar had 16 houses and a population of 74, though the population count included men only. In 1882 the Palestine Exploration Fund's Survey of Western Palestine (SWP) described Ras Kerker as "a small village in a lofty position, with a spring below it on the north. In the middle of the village is a fortress built about 50 year since. The place was the seat of the great native family of Beni Simhan." In 1896 the population of Er-Ras was estimated to be about 210 persons. 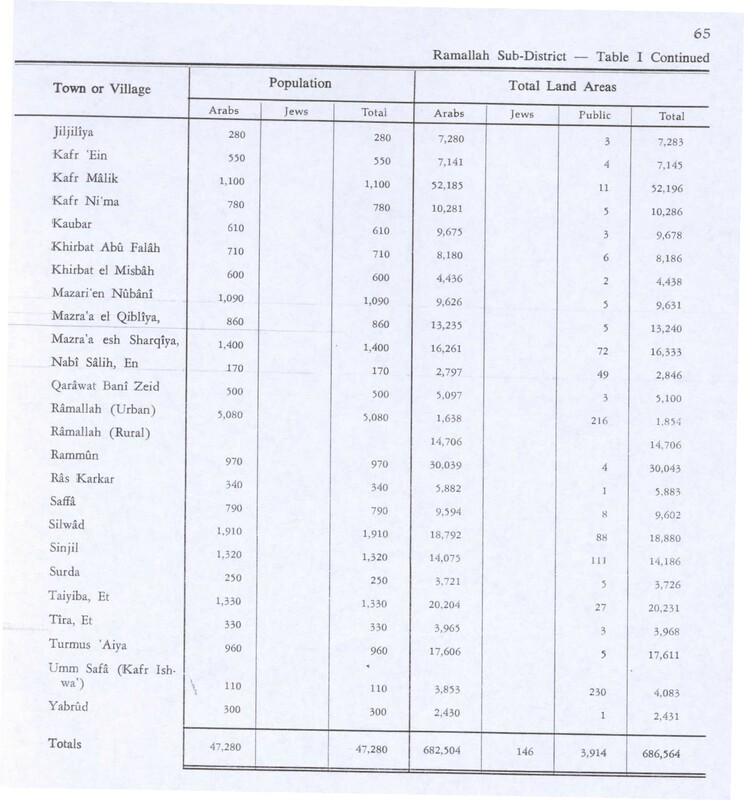 In the 1922 census of Palestine conducted by the British Mandate authorities, Ras Kerker had a population of 209 Muslims, increasing in the 1931 census to 291 Muslims, in a total of 75 houses. 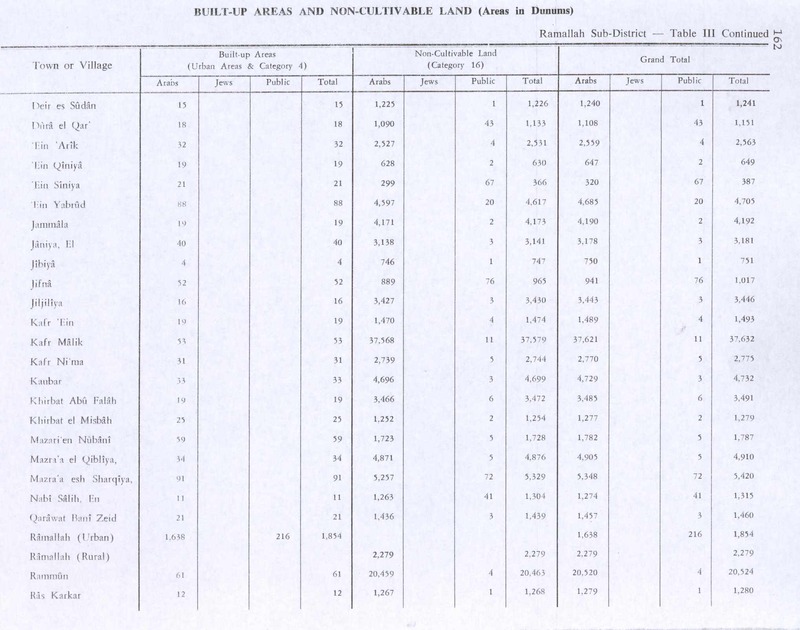 In the 1945 statistics, the population was 340 Muslims, while the total land area was 5,883 dunams, according to an official land and population survey. Of this, 3,366 were allocated for plantations and irrigable land, 1,237 for cereals, while 12 dunams were classified as built-up areas. In the wake of the 1948 Arab–Israeli War, and after the 1949 Armistice Agreements, Ras Karkar came under Jordanian rule. In 1961, the population of Ras Karkar was 478. 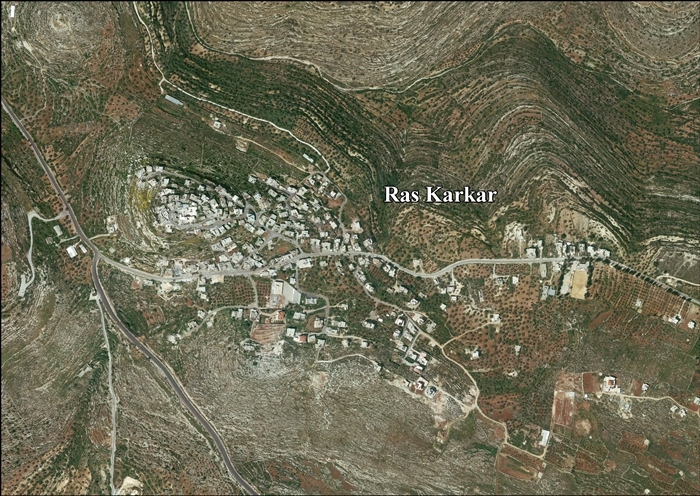 After the Six-Day War in 1967, Ras Karkar has been under Israeli occupation. The population of Ras Karker in the 1967 census conducted by the Israeli authorities was 399, 19 of whom originated from the Israeli territory. 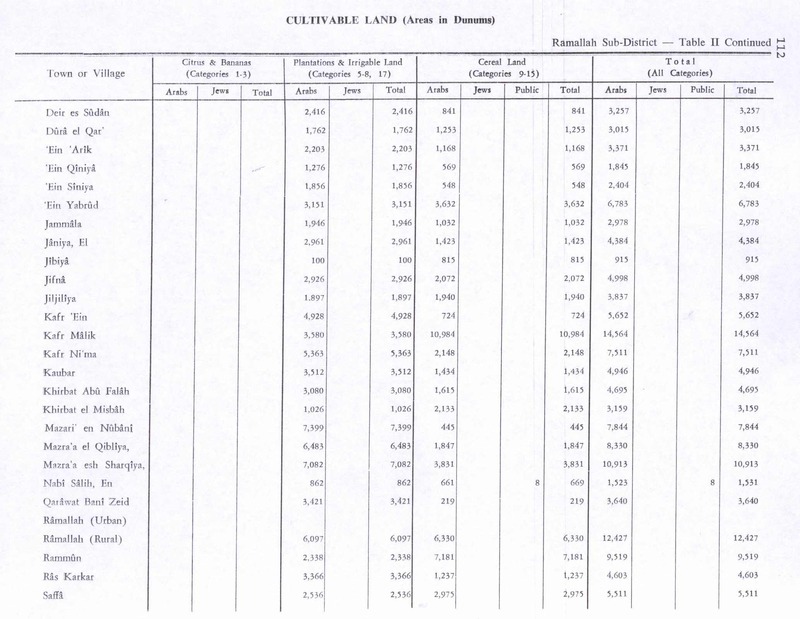 After the 1995 accords, 18.6% of Ras Karkar's land was classified as Area B, while the remaining 81.4% is Area C. Israel has confiscated land from Ras Karkar for the establishment of the Israeli outpost "Zayt Ra'nan", and for the construction of roads leading to the Israeli settlement of Talmon. The majestic castle is surrounded with historic buildings, overlooking to the west the mountains leading to the Mediterranean Sea and to the south, the city of Jerusalem. The village fields below are planted with olive trees. Entering the now abandoned castle from the northern gate leads to a large courtyard surrounded by a row of rooms. Al-Iliyeh, which is the highest room in the three-floor castle, was used for administrative purposes and as the Sheikh's private refuge. Narrow hallways and oil storage containers, as well as decorations and poems carved in the castle's walls and stones are among the things one can see there. ^ 2007 PCBS Census. Palestinian Central Bureau of Statistics. p.114. Macalister, R.A.S. ; Masterman, E.W.G. (1905). "The modern inhabitants of Palestine". Quarterly statement - Palestine Exploration Fund. 37: 343–356. This page was last edited on 18 January 2019, at 12:11 (UTC).